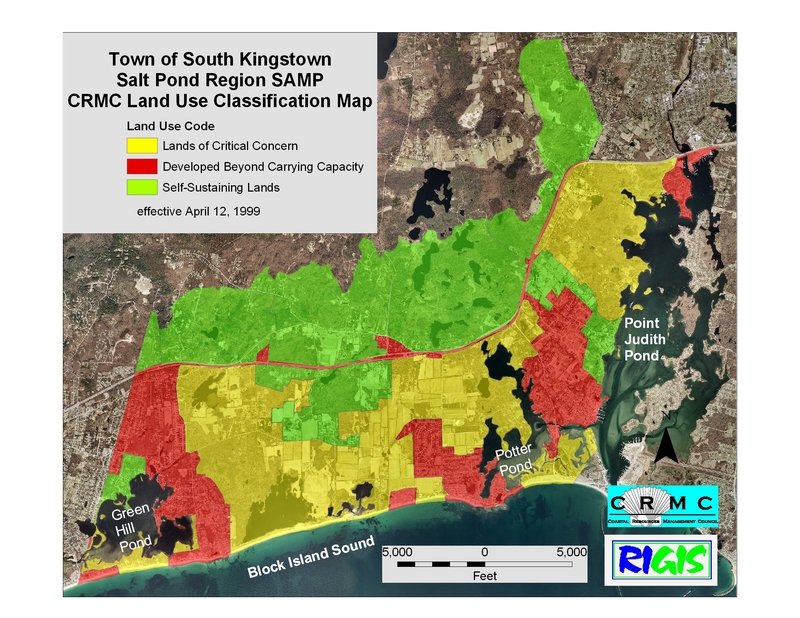 SOUTH KINGSTOWN, R.I. — Mother Nature made herself seen and heard during a contentious Zoning Board of Review meeting July 15 that resulted in a ruling against a proposed condominium development at the edge of one the state’s most environmentally sensitive salt ponds. The zoning board voted 3-2 to deny a proposal to tear down and rebuild 12 one-bedroom, ground-level cottages as much larger and taller condominiums. The three board members who opposed the project all said the planned development threatened to harm the coastal estuary and alter the understated, seasonal character of the summer community of East Matunuck. The disproportionate size of wraparound decks received the most attention. “The (proposed) decks are just outrageous,” board member Igor Runge said. Throughout the one-hour hearing, speakers were repeatedly drowned out by thunder. A bat also found its way into the meeting room, unsettling board members and the audience as it circled overhead for nearly 10 minutes. Cagnetta, Runge and Stephanie Osborn also said the proposed decks and the increase in winterized dwellings would attract more year-round residents and stress onsite septic systems. The potential influx of septic overflow, stormwater runoff and fertilizers could damage the nearby marsh and contribute to pollution in Potter Pond, according to the Salt Ponds Coalition. Damage to the brackish ecosystem threatens swimming, fishing and kayaking in Potter Pond, which is also home to Matunuck Oyster Farm, the largest oyster farm in Rhode Island. Several residents agreed that the development might have gone forward had the proposed buildings not increased in height to 27 feet and maximum build-out of 50 percent. “It could have been much more modest,” Jim O’Neill said. After the defeat, the project’s developer, Jeffrey Sweenor, and his project team discussed plans to revise the proposal and bring it back before the zoning board.